This 10 cu. 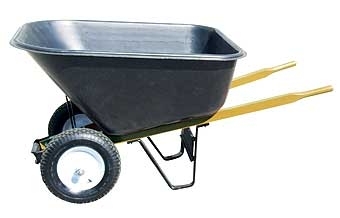 ft. wheelbarrow features high-capacity, corrosion-proof poly tray, hardwood handles and dual pneumatic knobby-tread tires. For transferring ensilage. Ten 16" round, welded steel tines with a 14-3/4" head width. 30" Ash wood handle with 10" steel ferrule and poly D-grip. High-density polyethylene tank with ultra-violet inhibitors allows for unmatched durability and ultra-violet protection. Features a large 4.25" opening with filter basket. 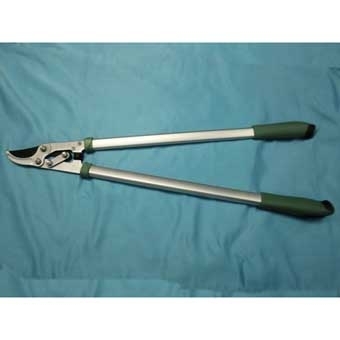 Shut-off valve and wand overall length of 28" for hard-to-reach places. 4' of high-pressure hose. Padded shoulder straps for greater comfort. The model 475 is capable of producing up to 60 psi, with its rugged connecting rod actuated diaphragm pump. The diaphragm is made of high-quality Viton for its resistance to harsh chemicals and abrasion and its long life expectancy. By design the diaphragm is able to pass small abrasive particles without damage to the pump assembly. The diaphragm pump is ideal for handling chemicals in wettable powder form, as well as liquid formulations. 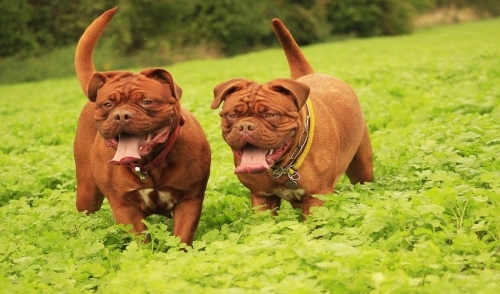 A 1 YEAR WARRANTY is provided. Given proper maintenance, the sprayer should last for millions of pumps and many years of use. For transferring manure or loose material. Four 12-1/2" oval forged steel tines. 48" Ash wood handle with 10" steel ferrule. Soft cushion grip for comfortable cutting. 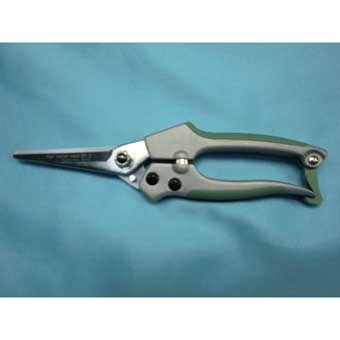 Secure locking mechanism keeps snips safety closed when not in use. Long-lasting durability. Bypass blade design. Non-stick coated blades for easier cutting. Unique aluminum handle with non-slip grip. Long-lasting durability. 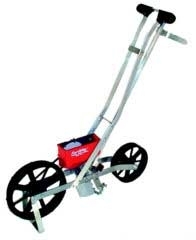 Model 1001B garden seeder. Precisely plants seeds at the depth and spacing necessary for maximum yield. 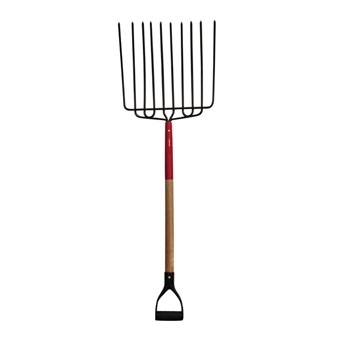 Comes with six seed plates for seeds such as carrots, beans, corn, peas, radishes and beets. Sturdy aluminum frame. Accessories available include a fertilizer applicator and plate storage case. 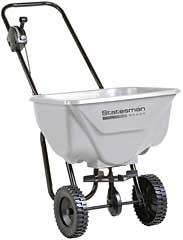 The 2030SS Statesman broadcast spreader features a 65lb capacity rust proof hopper. Comes in a 3 pack merchandiser display box. It has a 3 hole drop system for even spreading of material. 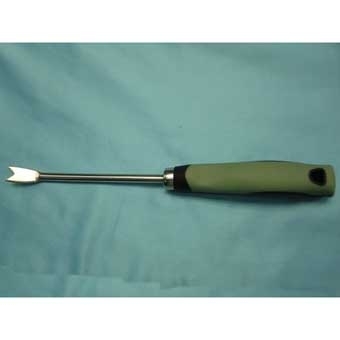 Comes fully assembled with a folding handle. Easy to use gauge and lever control for precise applications. 8in poly wheels and high speed gearbox makes spreading fast and easy. 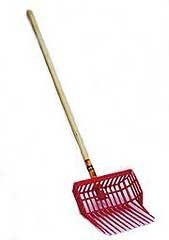 For scraping ice and other encrusted materials from hard, flat surfaces. 7" x 4-1/2" Shank pattern, welded, steel blade. 48" Ash wood handle. 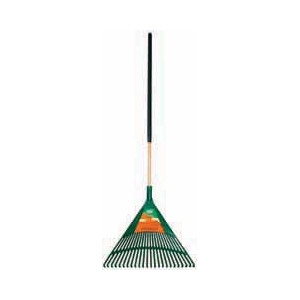 Union Tools Poly Leaf Rake 24"
For large capacity leaf raking and general purpose clean up. 24 Reinforced poly tines that adjust to ground contour to maximize raking motion. 48" Threaded hardwood handle with cushion grip. 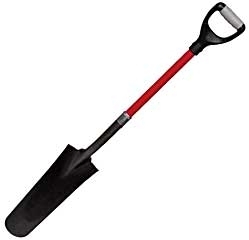 Penguin Poly Pusher Snow Shovel Without Wear Strip 24"
Penguin 24 inch pusher without wear strip, perfect for decks will not gouge surfaces, versa grip which accommodates multiple glove positions, durable steel core handle. Ames True Temper Backyard Pro wood handle bypass lopper with comfort grips. Non-stick blade coating. 1-1/2 in. cutting capacity. Tanks are of high density polyethylene with polypropylene pump barrels and thread caps. 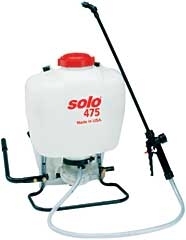 For use with many materials that are corrosive to galvanized or stainless steel sprayers. Carrying strap is standard on model. D1 Duster Poly 16 oz. 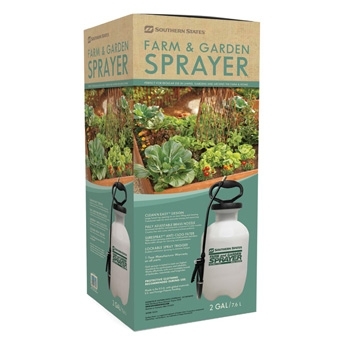 Plant and Garden Sprayer - 32 oz. 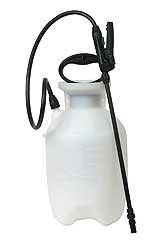 Delta Orbital 360 Degree Sprayer 32 oz. 32 big ounces for all of your plant and house care needs. 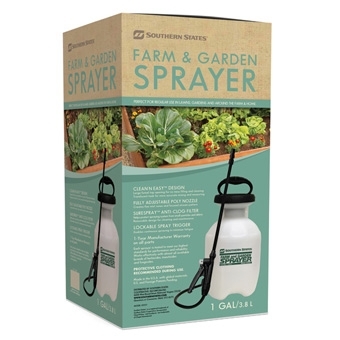 This sprayer is great for cleaning cars, boats, getting rid of scale from plants and any other hard to reach area. Sprays upside down, makes those hard to reach jobs easy! Envirokind, made from recycled milk bottles! Locking on/off trigger. Quick shot trigger sprayer. Sturdy enough for all of your spraying needs.